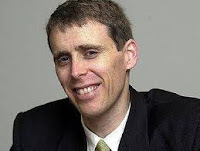 Stephen Mayne, the young journalist who started the highly successful political website crikey.com.au (mortgaging his house at times to pay bills ) and then sold it for a cool million dollars has been tackling Rupert Murdoch at the annual News Corp AGM in New York. Mayne offered Rupert a few books to read on his up coming trip to Australia (and thus avoiding American comedian Jon Stewart's Washington Rally To Restore Sanity on Oct 30th who Rupes says he has never heard of). 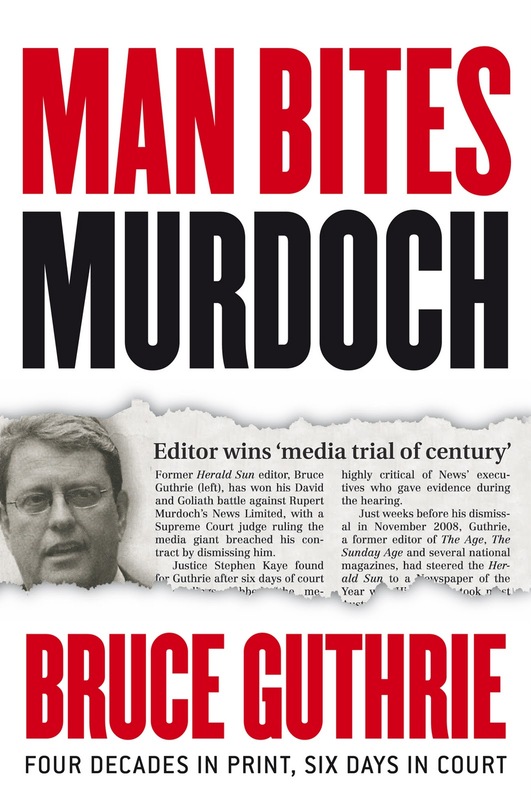 Man Bites Murdoch by sacked Melbourne News Corp editor Bruce Guthrie and Bruce Dover's (News Corp former senior Hong Kong executive) Murdoch's Adventure In China that describes how News Corp lost billions of dollars in China. Murdoch says it's all fantasy but when Mayne requested any News Corp executive present to raise their hand if they had read the books, apparently none had. Mayne also asked if Murdoch may consider retiring when he turns 80 next year but Rupert was having none of it : "only when my health gives out". 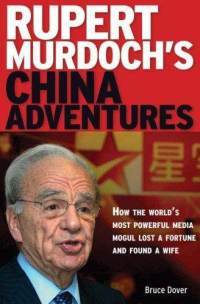 ( his mum Dame Elisabeth Murdoch is 101). 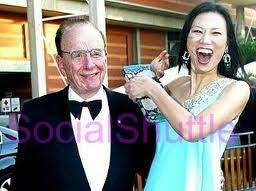 Tackling Rupert on the great hacking scandal the great man replied : "There was an an incident more than 5 years ago. The person who bought a bugged phone conversation was immediately fired and in fact he subsequently went to jail". And to Mayne's helpful suggestion that he may read the New York Time's claim that there was a "collective amnesia " in News Corp about the whole affair he replied :"I'm sorry. Journalists who have been fired, who are unhappy, or work for other organisations - I don't take them as an authority, and least of all I don't take The New York Times as authority. Mayne also got a comment on son-in-law Mathew Freud's ( "Britain's most powerful PR business chief") recent condemnation of Fox News. "He could not have been more wrong." says Rupert. Finally Mayne congratulated Rupert for firing News Corp political hack Glen Milne (known in the trade as "the poisoned dwarf") who famously attacked Mayne and pushed him off the stage at the Walkely Awards in 2006. "I didn't know anything about it " says Rupes. It sounds like Murdoch is in top form again and has recovered from his recent British Parliamentary Committee appearance when at times he looked rather confused and had trouble hearing the questions that left many wondering whether an ear trumpet should have been provided for the media mogul. # There is no truth to the claim by one wag that Wendi Murdoch was waiting just behind a curtain ready to spring to action to defend her man but we're reliably informed that all attendees at the meeting were frisked for cream pies before being allowed to enter the auditorium. You can read Mayne's full account here and below we bring you the fabulous Glen Milne attack on Stephen at The Walkelys when Glen -apparently having digested to much flu medication-went on the rampage.